Inga Swenson, actress, born in Omaha, NE. Inga Swenson was born on December 29, 1932 in Omaha, Nebraska.Â She graduated from Central High School in Omaha in 1950, and went on to study drama at Northwestern University. 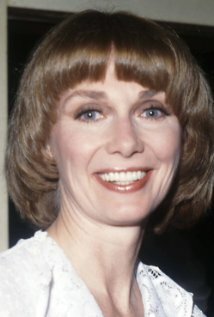 During the 1980s, Swenson became known for her Golden Globe and four-time Emmy-nominated portrayal of Gretchen Kraus in the sitcom Benson, starring Robert Guillaume.Â Prior to that, she gained acclaim for her supporting roles in the films The Miracle Worker (1962) and Advise & Consent (1962).Â A trained lyric soprano, Swenson starred in the Broadway musicals New Faces in 1956, and The First Gentleman in 1959.Â She was nominated for Tony Awards for her Best Actress performances in 110 in the Shade (1964) and Baker Street (1965).